A household move is a huge stressor both for you and your bank account and there’s no getting around it. How you will deal with it depends on your personal attitude as well as on your ability to take the bull by the horns when necessary. Moving can be a rewarding experience, especially if triggered by some pleasant events like moving in with a partner, family related reasons, new job or corporate relocation. But, whatever the reason, it undoubtedly ranks highly on the list of most stressful life events. 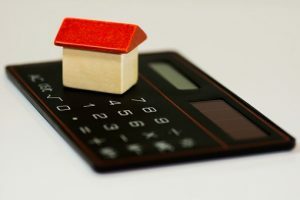 As it turns out, a timely preparation will allow you to figure out what measures you can take to reduce moving stress and cut moving expenses. According to many people’s experiences, how much you will pay for the forthcoming move depends on several factors such as moving distance, quote provided by a moving company, additional moving services. But, let’s face it – the amount of your moving expenses depends largely on your negotiation skills. When it comes to moving house, every dollar counts, but quality of moving services is something you cannot compromise on. If you are wondering whether you can hire affordable movers at a reasonable price we are sharing some encouraging pointers that may help you find that perfect balance. If you think that a household move will definitely break the bank, you may take your time to make a unique money and stress-saving strategy for you move. As it turns out, there are several ways to approach the issue of reducing the cost of moving services. Negotiating is one of the viable cost-saving options you can apply as soon as you spot a quality moving company. Settling for less than satisfactory moving services is not an option even when moving on a tight budget. If you somehow ended up planning the last-minute move you may find yourself struggling to get a good deal on moving services. With the time in short supply, you may discover all the benefits of an early start when preparing for the move. 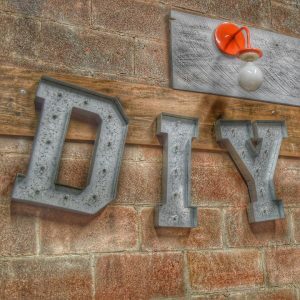 When it comes to saving on moving services, the first thing that crosses people’s mind is a DIY approach. Truth be told, do-it-yourself moves make sense only if you are preparing for a local move. Moving within the same city allows you the flexibility in terms of moving timeline and the number of trips you can make to your new home and back even before moving day. As a result, instead of renting a large moving truck, check if a smaller van would be appropriate for transportation of your goods. But sometimes self-moves turn out to be more expensive than expected, so choosing this option doesn’t necessarily imply cutting moving costs. Considering the time and effort you will have to dedicate to the process and potential risks you can experience down the road, it’s highly advisable to do the calculations properly. After all, is saving a few bucks worth the risk of personal injuries or damage to your possessions? People may assume that the fewer services they get, the less they will pay in the long run. But, as counter-intuitive as it may seem, in some cases hiring professional movers and packers proved to be a more cost-effective solution. Before you engage in any negotiations, do some simple, budget-friendly changes. Let the statement ‘’the less you move, the less you’ll pay’’ be your mantra when preparing for the move. During the packing process make sure to leave out everything you don’t use or need any more. There’s no point in packing and transporting items that you will toss eventually. Not the mentions that the smaller moving load will require less packing supplies, therefore a smaller moving vehicle. First and foremost, bear in mind that quality of moving services should not be negotiable at all. While you may be dazzled by extremely low moving quotes, you should always keep in mind that you cannot compromise on the moving company’s reputation. As we all know, only a thorough background check may help you identify those dishonest moving companies who are looking to take advantage of their customers. So, when making your final decision, aside from moving estimates, consider your movers’ ratings and reviews that may reveal a lot about your movers’ business practices. Those extra minutes spent researching your movers’ background can make a difference between a smooth moving experience and a total nightmare. But, sometimes it’s only the price that’s stopping you from hiring one of the top rated movers. Well, the good news is that even the most reputable moving company’s quotes are not set in stone. Provided that you are moving during the off-peak season, your movers might want to adjust the pricing so as to secure you as a customer. First and foremost, negotiate with several moving companies. Given the grueling competition, chances are movers would try to beat or at least price-match the previous competitor’s offer, which can be turned to your advantage. Another way to get a good deal on moving services is to hunt for moving coupons and special offers. You can get more information about actual special deals and promotions through social media and other online resources. Movers usually announce on their official websites special deals and conditions they are offering. Assuming that you are inexperienced in negotiating with moving companies, we’ve shared these suggestions to help you score budget-friendly moving services.